Brendan Davies, what can I say. You just broke the GNW record by over 2.5 hours in your first 100 mile event. Smashing through the 20 hours barrier convincingly with a blistering time of 19 hours 27 minutes. I heard from your pacer Joe Brischetto (Kanangra 50/50 winner) that you just got faster and faster. You’ve proven that you can go fast over any terrain and distance. I think we can safely call you a living legend. Shona; Brendan Davies What was your race plan for your first 100 mile event? Brendan Davies; Hey Shona, no way near a legend….let’s just stick with MTR for the time being! My plan was to run conservatively in the beginning stages and to really just run by feel all day. By that I mean really listening to the breathing and never pushing my threshold levels very much for the first couple of legs. I was treating the first 50km as a warm up period. Then past this I wanted to push on a little, but also get to Yarramalong feeling great and ready to finish the race off in good fashion. I’m happy to say that things went to plan for a change, although the beautiful running conditions really didn’t bring any other outside elements into play either. At the finish I didn’t feel exhausted, I was in good shape. Shona; How did you go about working out the correct pace that you were able sustain for the entire 174.5km? Brendan Davies; I didn’t have a pace in mind, I just wanted to let my body, my breathing and my perceived levels of exertion dictate terms. In the first leg I was tempted to run with Clarke because he was running at a pace that I am much more comfortable with, but I wasn’t ready to take the gamble in my first miler that this was the right pace to run. On the 2nd leg there is a lot of firetrail and road so the tempo was ramped up a bit without going crazy. Lots of times I was finding myself backing off the pace as I was creeping down too low into the 4:20s etc and knew it would jeopardise the race if I continued on like that. The 3rd leg is quite hilly and technical so I really just wanted to run solidly the whole way which I did. After this leg and getting to the big downhill into Yarramalong is when I thought that the real tough stuff is over, I was feeling great so really put the throttle down to the school. The rest of the journey I just got stronger, not necessarily quicker, but when I wanted to run fast I could and there wasn’t really any fade due to exhaustion or fatigue. At the finish I didn’t feel spent or even much muscle soreness, I was in good shape which probably told me I erred on the side of caution a bit but that was fine, it was my debut miler, but rest assured I’ll learn from that and push harder in the next one! Shona; Nutrition and Hydration are at the up most importance when racing and training for ultra endurance events, what was your nutrition and hydration plan for the GNW miler? Shona; Brendan Davies you are known for your committed training schedules. How has your training differed in the last 6 months to help you prepare you for your first miler? Brendan Davies; I don’t think my training has really changed that much, I still do equal amounts on the flat road, hilly trails and at the track, with a bit of treadmill or bike work in the Altitude Chamber at Valley Fitness. I guess the big difference this year is the amount of long ultra races I’ve done (4 x 100k, 2 x 50k). They have honed my skills, conditioned the aerobic and muscular systems and of course trained the mind for big, long races. 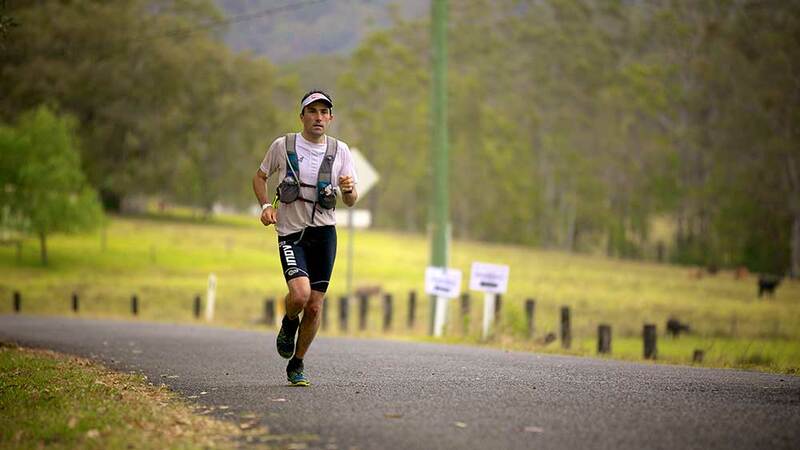 Leading up to this race in the last month I did the GOW100 and the Kanangra 50 and my body just adapted to the distance and in turn recovers so quickly. So while these were big races as well, they played a crucial part in the GNW build up. I suppose if there was one differing factor in the build up, it was the last school holidays where I had the extra time to train more, consistently doing two running and one walking session a day for two weeks helped me drop a few kilos. Shona; I know you had a few navigational issues whilst running GNW 100 Miler, how much time do you estimate that you lost? Brendan Davies; Those that know me well know that I’m navigationally challenged, and even with my Garmin loaded with maps etc, I still managed to go off course at some stage on all but 3 of the legs! But this is the nature of GNW! In amongst lots of smaller ‘detours’, there were two howlers that cost me the most time. In leg 5, Jo and I were pfaffing around for ages trying to find the Deadhorse Ck Crossing, at least 10minutes before we realised that the tree that was across the track was not the end of the track but one we had to go around! The worst detour however was on the last leg, just after the small climb where there was a random steel handrails, I went left up the little rocky ascent instead of right and actually did a big loop and found myself going back down the way I came! That cost me another 10 minutes at least too. So all up they probably cost me around 25 minutes. Shona; You used a pacer, Joe Brischetto for your GNW Miler, how do you think this helped with your performance? Brendan Davies; Jo was awesome. She gave me the company I needed and was a wise head when I needed one. I was trying to run everything in Leg 5, until she said, ‘Just walk up here mate, it’s better for you’, I soon realised that walking helped to flush out the lactic acid and I believe her pacing was a major factor in me being able to sustain a strong pace all the way to the finish. If I was by myself I probably would have gone absolutely berserk on the ‘downhill’ leg 6 and had nothing left for the last leg which could have blown the time right out. Unfortunately she was having hip flexor problems so couldn’t run the last leg with me but I’m happy to say we broke two leg records together still! Shona; What 5 tips would you give someone who is about to run their first miler? Respect the distance. If you haven’t run 100k, don’t enter a miler. Do the progression up properly and you will enjoy it more. Practise and experiment with your nutrition in shorter races and your long training runs. Talk to experienced heads. Phil ‘Spud’ Murphy was the man I turned to prior to my run. Train on the course. Nothing can beat course familiarisation for mental preparedness. Prepare all the logistics of around race day way in advance. You want to save the last couple of days to relax and mentally prepare. Shona; You have had a stellar end to 2012, winning GOW with a record setting 9 hours 16 minutes. Did you write a program at the start of the year for yourself with the intention of peaking for GOW and GNW? Or did it all just fall into place for you? Brendan Davies; No, my training is very similar all year round, and I really don’t operate that far in advance. My big build ups occurred around the ‘A’ races. I was lucky as this year I peaked twice, once earlier in the year which included the 100K World Champs and TNF100 and then this latest period which included GOW and GNW. I’ll just go into these periods with a little more purpose, swap a few easier sessions with harder ones, eg throwing in a few more tempo sessions and finding any excuse to run a few extra kilometres. Shona; Was there at any stage during the GNW that you hurt and wanted to give up? Or were you just focused and on fire for the day? Brendan Davies; Never. I was having a blast! Even at the finish I felt reasonably fresh, not run back to Teralba fresh though! Shona; What mental games did you play with yourself whilst running GNW? Brendan Davies; The usual ones; lots of counting my cadence, breaking legs into smaller sections, self evaluating a different aspect of my form each km, making sure I ran each part of the trail on its merit, so not to bludge at any point! Shona; What are your recovery techniques for after an event like GNW? Did you suffer any injuries or niggles that you have to look after? Brendan Davies; Straight into the bath post race, I couldn’t quite do the ice bath though! Lots of good food in the days following and plenty of sleep. I’ve been on a small jog each day, I believe in an active recovery for sure. My right knee is a little sore from the run but already it has settled down quite a lot, so should be fully ready to resume training one week after the race. Shona; What are your plans for the next year? I know you are resting over the Christmas break. What will 2013 racing schedule look like for you? Brendan Davies; Yeah, having a break now from big races and will freshen up over Christmas. Next year will start with the traditional 6 Foot Track build up although I haven’t ruled out the possibility of running in the Tarawera Ultra in NZ instead. It has a remarkably strong field and Aussie race directors could take note from Paul Charteris who does a marvellous job attracting some big names. From there it will flow to TNF100, followed by dream of all dreams Western States Miler in the US. This is of course in the lap of the lottery gods though but I would love to test myself against the some of the World’s best! Then it will be back to the domestic racing scene, possibly doing a lot more road running leading up to the 100K World Champs in Korea in October where I’d like to have a real crack at the podium. All gear was supplied by Barefoot Inc.! I also used the Ferei HL20 Headlamp for the night sections. No problem Shona! Yeah it’s exciting times at the moment that’s for sure. You’re playing a big part in this growth period too!